Spray around you and your space. Feel the gold and white rays of joy and hope shining upon you. 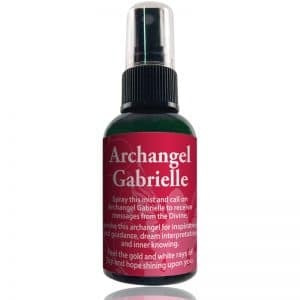 Spray this Aroma-energetic mist to call on Archangel Gabrielle. Use it to help you receive Divine Messages. Invoke this archangel for inspiration and guidance, dream interpretation and inner knowing. 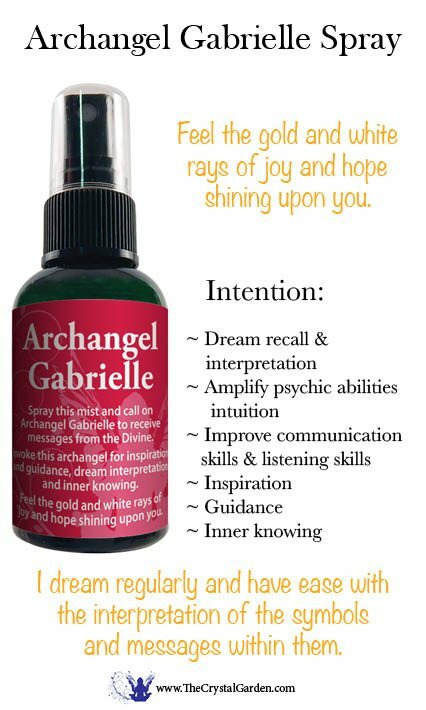 Intention: Dream recall and interpretation, amplify psychic abilities and intuition, improve communication skills and listening skills.